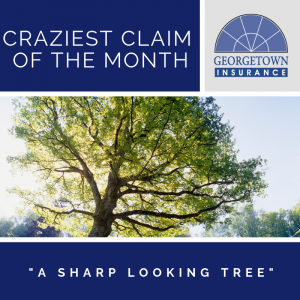 For April’s craziest claim, it was just a normal day for a local tree company. Employees were busy cutting down trees and running the branches and stumps through a wood chipper. It was business as usual…that was until one tree gave them a little more than they bargained for. Unbeknownst to the workers, part of the tree had grown around some barbed wire from many years ago. They cut it down, per the norm, and ran the pieces through the chipper. Unfortunately, that was a big mistake. The company’s expensive wood chipper was completely totaled – and the workers had to call it quits for the day.